Former Springbok captain Joost Van der Westhuizen announced he is heading to the US for medical treatment. 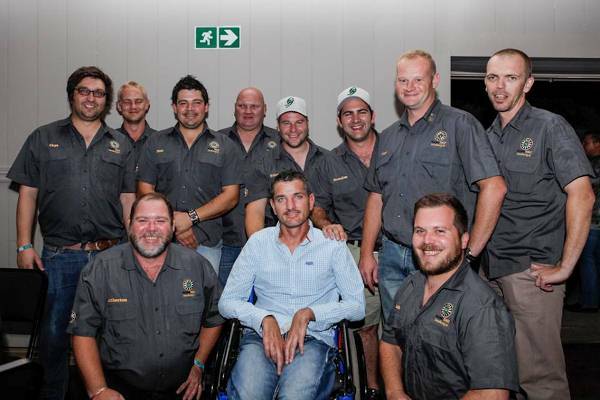 Former Springbok captain Joost Van der Westhuizen announced that he is heading to the US for medical treatment in connection with his diagnosis of a form of motor neuron disease (MND). "They said I would be in a wheelchair after a year. They said I had a 20% chance to live two years. And I decided stuff them. I will decide when I go," Van der Westhuizen said in a statement. The former rugby star – who established the J9 Foundation for other sufferers of the disease – will also visit a centre in New York – the Eleanor and Lou Gehrig Centre, which provides research and clinical support for MND/ALS sufferers. Van der Westhuizen said he hoped to establish a similar institute in South Africa. "In the beginning you go through all the emotions and you ask, 'Why me?' It's quite simple, 'Why not me?' If I have to go through this to help future generations, why not me?"